Post Office Money research shows that the average first time buyer will spend 4 years savings for their first home deposit. The research showed that people were prepared to live a leaner lifestyle to in order to make property ownership a reality. With the average deposit for a first home reaching £51,500 in the UK last year according to the Office for National Statistics, which ranged from £21,571 in Blackpool to £173,431 in London, Post Office Money research found that new homeowners were able to set aside 24% in advance of their purchase. 30% of this deposit was found to be from family contributions. The research found that not everyone found these sacrifices easy to maintain with one in five admitting that their motivation waned over time in the form of “saving holidays” where they opted out for a period of saving for their new home. These findings showed that the main causes for this was a “need for a holiday”, special occasions or a need to dip into savings to fund a particular requirement. While many prospective buyers choose to make lifestyle compromises as they save towards their first home, there is no ‘right way’ to reach your deposit goals. Some FTBs will prefer to take longer saving for a deposit rather than cut back on their monthly spending (23%), whereas others will be willing to compromise on the property itself (17%). Half of all FTBs (56%) will also turn to their family for financial assistance to help build their deposit. One inevitable element of the house hunt that all buyers will need to contend with is finding an affordable area in which they can invest their hard-earned money. 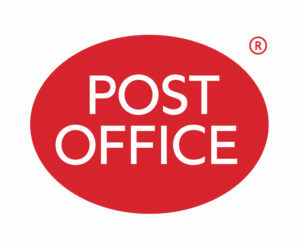 Post Office Money has also launched a new online tool, allowing new buyers to map out their deposit plans based specifically on property affordability in their chosen area: www.postoffice.co.uk/mortgages/this-is-my-home .